On Thursday I received my very first email from Antarctica, and I was forwarded a voicemail from Antarctica as well. John Weller, one of the driving forces behind the Last Ocean Project is on a ship in Antarctica where he's on board a Russian ice breaker for the next 25 days. I've posted his most recent updates at Lastocean.org. Is it just me, or are there penguins everywhere? Ever since I met John and saw his amazing photographs of Antarctica, I've been noticing just how many penguins there are on greeting cards, advertisements, and as toys. 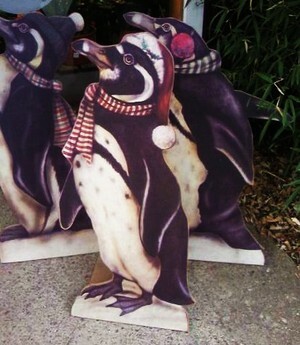 See if you don't start noticing all the penguins around you now!